The 1988 presidential election cycle is the first one I truly remember. Yes, I was alive during President Reagan’s successful bids for the White House in 1980 and 1984, but I was only 2 and 6 years old, respectively. I have memories of President Bush’s vow where he said, “Read my lips, no new taxes.” Although I have studied some aspects of presidential politics back to the days of Washington, my experiential knowledge essentially starts with Bush 41 (except for a memory in fourth grade when my class at school sent a letter to President Reagan asking about his favorite Bible verse—as I recall, it was John 3:16). 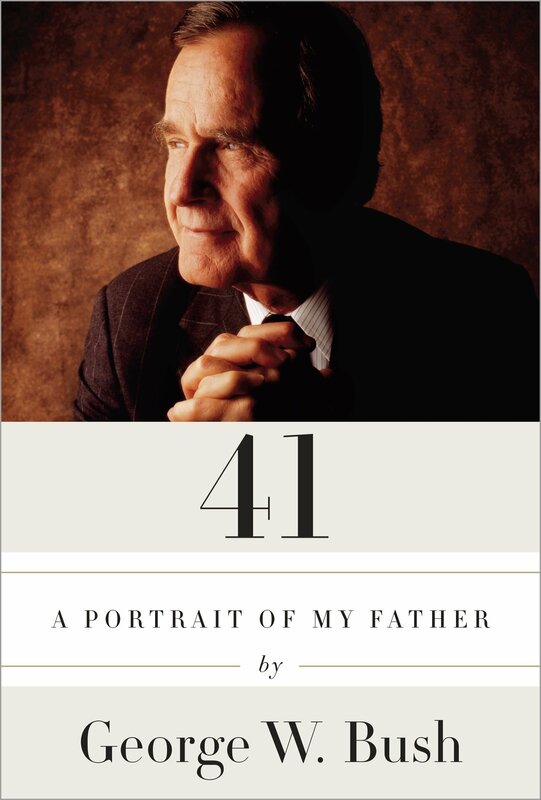 As we mourn the passing of President George H. W. Bush, there are some interesting lessons on leadership that we can glean from his biography, 41: A Portrait of My Father, written by George W. Bush. It is a fascinating book with an abundance of insights into the life of George H. W. Bush, much of which could only have been told by his eldest son. As I read the book, I often caught myself verbalizing the words in my head in the younger President’s signature Texas drawl. The book is full of personal stories about the Bush family. There are glimpses into difficult decisions to pass up opportunities of privilege in order to work his way to the top. Parts of the book are very emotional as the reader gets a picture of what it is like to win and lose on the political stage. As I read the book, I was struck by some of the insightful lessons on leadership demonstrated in the life of George Bush. These are lessons that are beneficial no matter what your political persuasion may be. 1. Add a personal touch. I was amazed by the constant references to personal, handwritten notes from the desk of the President. At various times throughout the book, the details of a story came from the notes that President Bush had written to others. The recipients of these notes included family, friends, allies, and political enemies. No one really writes notes any more. We usually say that we are too busy to do so. But how much busier are we today than the President of the United States. Yes, Mr. Bush was in office nearly 30 years ago, but he served during the end of the Cold War, the Persian Gulf War, and countless other crises in those four years. Yet, he still found time to write personal notes to friends and enemies alike. Perhaps sending handwritten notes and letters is a relic of previous generations, but I think it is something we should revive. When I receive the occasional note from individuals whom I admire and trust, my spirits are lifted and my loyalty is strengthened. Such a note lets the recipient know he is valued. 2. Treat others with respect. Very few people will ever have the opportunity to develop as many allies and enemies as the President. One of the funniest lines in the book came when George W. Bush recounted his own decision to run for President. He writes, “When reporters would ask how my father would affect the race, I joked that I had inherited half of his friends and all of his enemies” (p. 262). Bush 43 then goes on to state that his father actually had very few enemies. The reason for such seems to be that he treated everyone with respect. Bush’s career was characterized by difficult relationships. He served as chairman of the Republican National Committee during the Watergate scandal. He wrote a personal letter to President Nixon suggesting that he resign for the good of the country. At the beginning of his term in the White House, he inherited a tense situation with the Soviet Union. Part of that tension was managing his relationship with Mikhail Gorbachev. In the midst of the political upheaval in 1989, Bush chose not to celebrate the demise of communism publicly, but instead authored a handwritten letter to Gorbachev proposing a summit. Many now credit President Bush for his work in orchestrating a peaceful end to the Cold War. The tendencies I see in leaders today is too often self-promotion at the expense of others. Gone are the days of treating everyone—including your enemies—with respect. In fact, I have witnessed some leaders treat allies so poorly that they become enemies. In an age of self-promotion, respect is a forgotten virtue. Perhaps that is because treating others with respect has a tendency to downplay one’s own accomplishments and importance. True leaders, however, know that relationships are more important than self-promotion. 3. Be willing to serve. The history of the Bush family is one of service, long before George Bush ever ran for political office. The generations that preceded him had served their communities and country. George Bush wanted to do the same. He was a pilot in World War II, escaping what would have been an untimely death after being shot down over the Pacific Ocean. He served as a Congressman from Texas, the U.S. Ambassador to the United Nations, chairman of the Republican National Committee, Liaison Officer to China, director of the Central Intelligence Agency, Vice President, and President of the United States. In several instances, Bush was asked to leave a comfortable role in order to do something difficult. While serving in China in 1975, Bush received a telegram from President Gerald Ford asking him to leave China and become director of the CIA. The CIA was under investigation by Congress for illegal activity under multiple administrations. The position required approval by the Senate and also had the potential to remove him from future considerations to run for higher political office. However, Bush was determined to serve where he was most needed and accepted the post at the CIA. Political expediency and personal gain are often the goals of service today. Many “leaders” want to take positions that stand to benefit them the most. What Bush demonstrated was a willingness to serve in roles that benefited those around him the most, even if they included the possibility of derailing his own aspirations. Such selflessness is the epitome of service. Taking positions for personal gain isn’t truly service of others—it is self-serving. We should aspire to be leaders who are selfless. There are many other great lessons to be learned in this profile of Bush 41. His story is one of great triumph, occasional defeat, and spectacular service. George H. W. Bush left a legacy of a selfless leader for others to emulate.